In January 1949 the 42-meter long coastal freighter Bandak was heading in the Sognefjord. It was a terrible storm, and Bandak was crushed against the rocks. She took her entire crew of nine with her. Incredibly, this was not the first time Bandak sunk: In 1937 the collided with another ship in the strait between Sweden and Denmark and went to the bottom. Bandak was raised and rebuilt, but 12 years later she became the ship that sank twice. 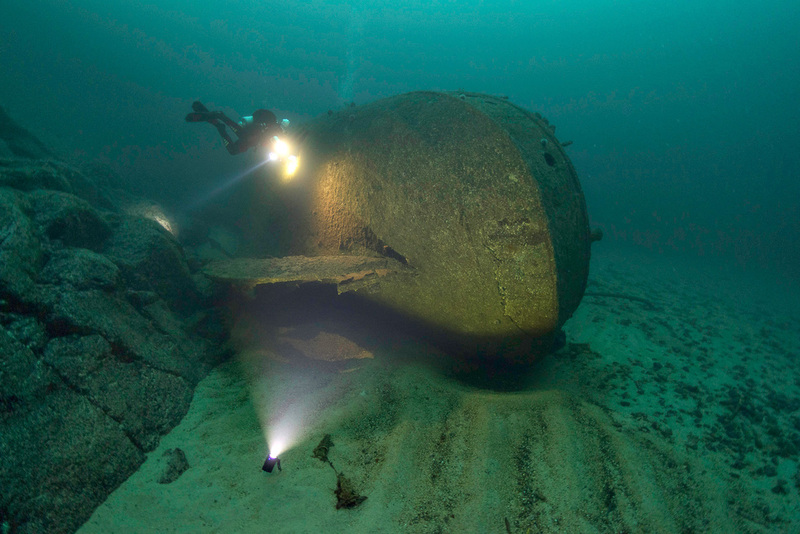 This time there was nothing to be salvaged, and the wreckage now rests at 18-28 meters depth.